Facebook video captured shows mist whipping through the wind in St. Petersburg. Some thought the mist was actually snow. It’s cold out there, Tampa Bay. Maybe not the coldest it’s ever been, maybe not as cold as it is in New York, and, no, there haven’t been any snow flurries (even though the National Weather got false reports of some). But cold? Yeah, it’s definitely cold outside, especially for Florida. 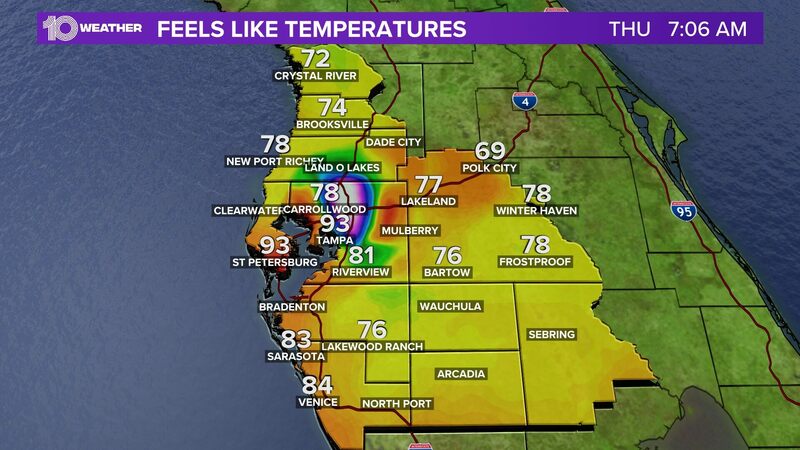 The National Weather Service office in Tampa Bay reported wind chills in the low 30s across the bay area on Tuesday morning, which prompted an advisory lasting until 10 a.m. It was 41 degrees in Tampa and in the upper 30s to the north. In Crystal River it felt like 28 degrees. Sustained winds of 12 mph are predicted to blow through the area, accompanied by gusts up to 30 mph through Tuesday afternoon. The high for the day is about 55 degrees. It’s unlikely the bay area’s cold snap will break any records, though. Most of January’s recorded lows are in the 20s, NWS meteorologist Paul Close said. But the record low on Jan. 5 was 31 degrees. "So we won’t be that far off," Close said. Mainly, temperatures are about 20 degrees below the average for this month. Monday night’s frigid temperatures led some Floridians to believe they were seeing snow whip through the wind. If you filmed or saw videos claiming to have captured "snow flakes," Close said what you were really seeing was a fine mist being blown around in 20 to 30 mph winds. Close said he saw a few popular social media videos of the alleged snow gaining traction online, prompting the NWS to put out a disclaimer explaining to Tampa Bay they were not, in fact, seeing flurries. Cold temperatures will persist through the weekend, as Tampa Bay’s forecasters in Ruskin keep a close eye on any winter precipitation. As of Tuesday morning, there was a potential for freezing rain in Levy County — but rain without snow remains in the forecast for Tampa Bay.